Multi Media LLC | How do I see who's following me? You can see who is following you by going to "My Bio" and clicking on the number that shows how many followers you have. 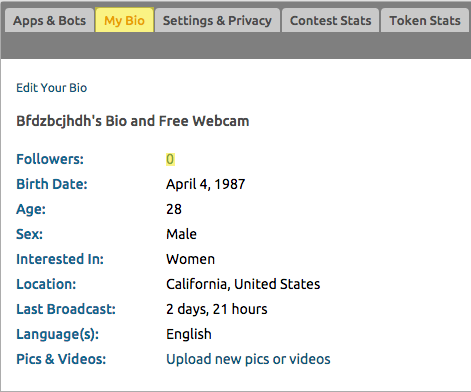 Alternatively, you can go to http://chaturbate.com/accounts/followers.